It's harvest time for some veg, and we've been pulling out spuds, onion and garlic. The potato crop did reasonably well. For one seed potato we got on average a kilo return (give or take). We tried three different types, Kifler, Dutch Cream and Pontiac. I think my favourite as a cropper is the Dutch Creams. We've roasted a few and they all roast well. Now those beds plus the onion and garlic beds are all emptied and will be having a rest for a while, then soon to get a little treatment with more manure and straw to prepare the soil for the next type of veg.....yet to be decided. The spud harvest sat in the sun for a warm afternoon, still covered in dirt and now stored in a large hessian bag to use through winter. We might even plant some more very soon so they will catch the last bit of summer and can be eaten during the cooler months. It's not hard to grow these babies. Nothing flash. Just a simple food item that we eat very regularly. We tend to grow the basics more so than 'gourmet' veg that isn't part of our true staple diet. 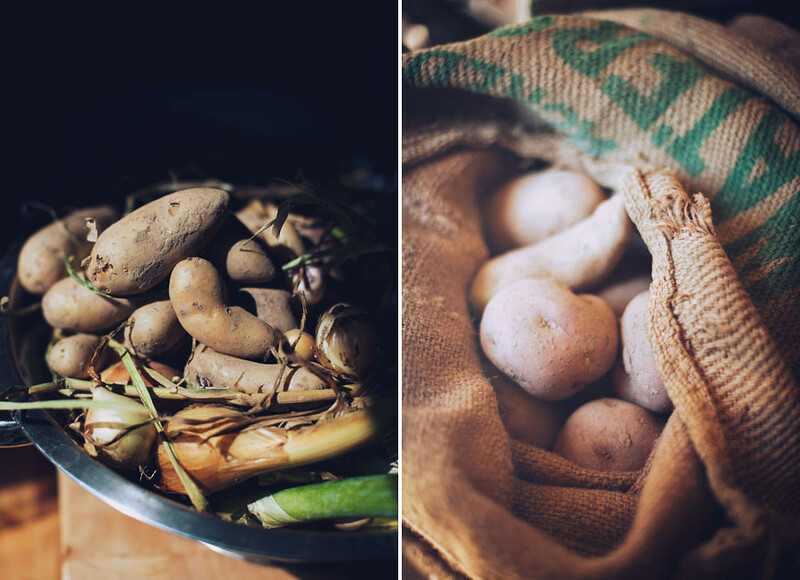 These potatoes will make excellent gnocchi, soups, salads and roasted. Delish little gems straight from the soil.